Our local demo group meets each time there's a new catalog. Its mostly a training meeting on the new product, but of course we're trading too and sharing projects we've made and one of our favorite events is the Card Contest. Drum roll please . . . here are the winners showing off their talent. These people are so talented. I'm so lucky to be part of such a creative group of people - and even more lucky to be able to take home samples of such super projects. Brenda put so much detail into her project. 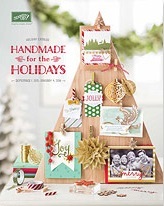 Her project features the Sleigh Ride Edgelits from the 2015 Holiday Catalog. There are 3 edgelits in the set: trees, the sleigh and horse, and the houses. Brenda used all 3 on her card. 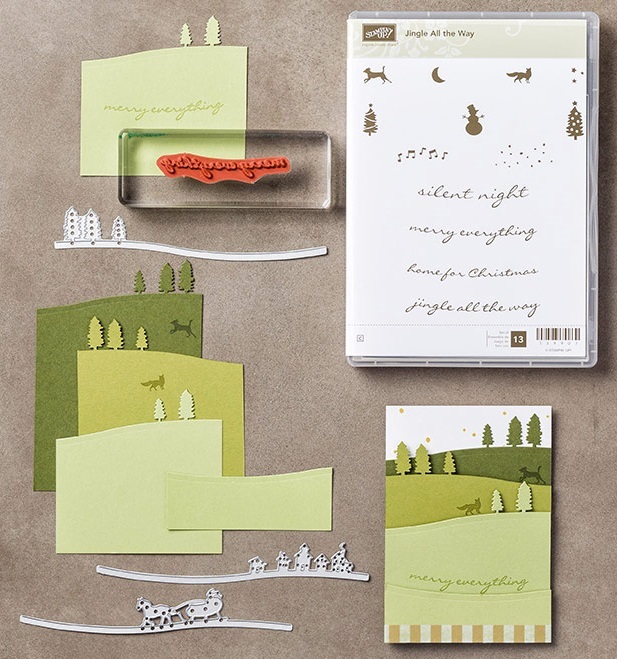 There is a separate matching stamp set which is where she got the sentiment on this card. 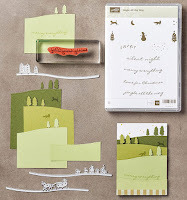 And I love how Stampin'UP! lets you bundle matching product, you save 15% when you buy them both. The stamps are available in either wood mount or clear mount. Go to my on-line store and put in the key word "Sleigh Ride Edgelit" or "Jingle All the Way" and you'll see all the options. The Dazzling Details glitter glue swirled across the white pieces made the snow all sparkly and really catches the eye. She used markers to color the sleigh and horse (WOW, the detail of the coloring is GREAT!). 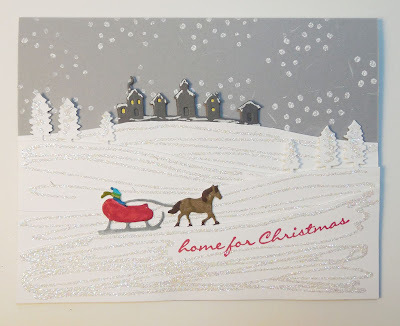 The sleigh and trees were cut from white paper and the houses were cut from Basic Gray paper. Brenda used a White Gel pen to add snow to the roofs of the houses and even added yellow to the windows and black to the doors. I am so impressed. This card was definitely worthy of the first place win. We had several categories in our contest - today I showcased the first place card, tomorrow you'll see the runner up cards and later in the week I'll show the winning projects in the other categories. 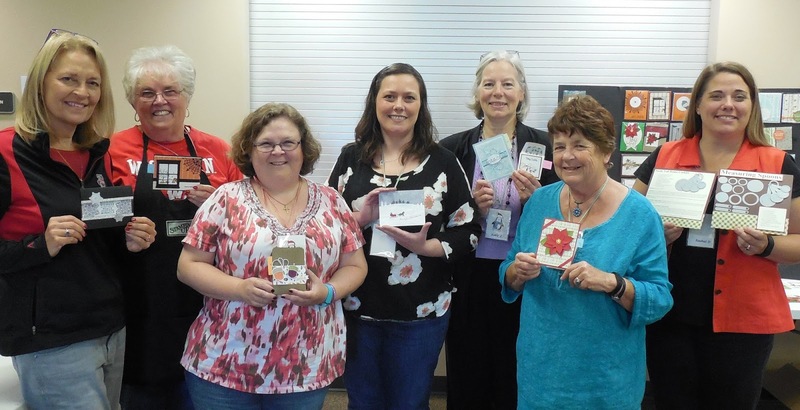 Of course EVERYTHING is made with Stampin'UP! product.